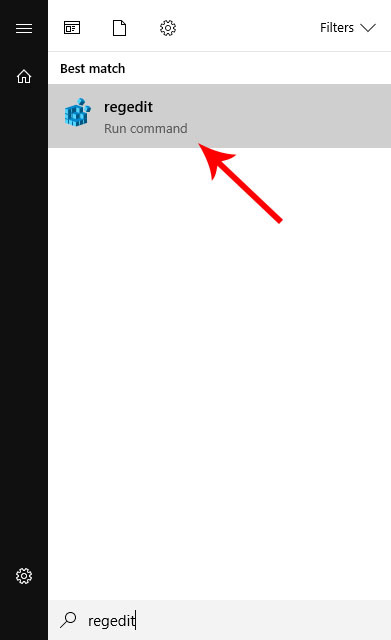 The Jump List is accessed when you right-click an application in Windows 10. 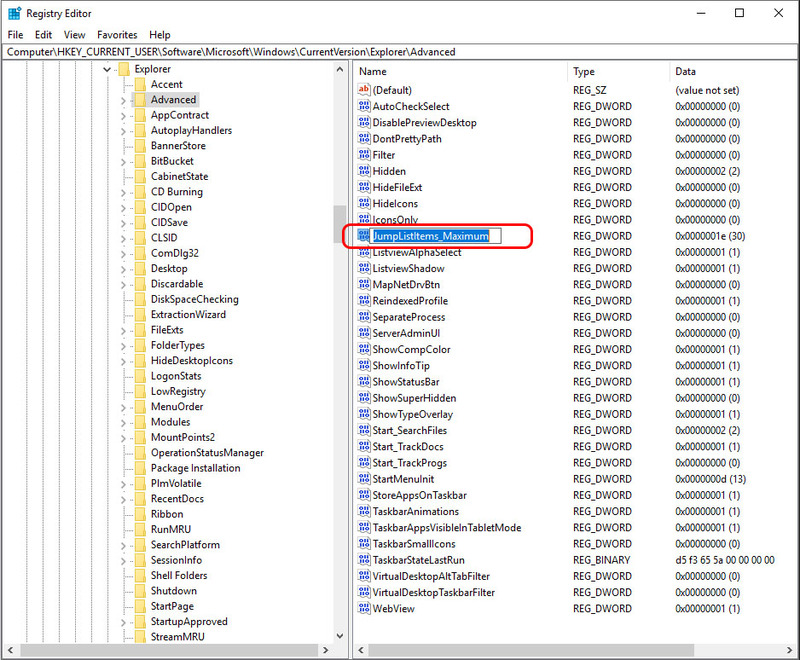 In addition to launching the application or program you right-click, the jump list contains a list of recently accessed files. By default, Windows 10 jump lists contain between 10 and 12 items which is not nearly enough for me. Once I learned this number could be increased, I changed it to 30 on my computer and will never go back. Here’s how to increase the amount of items on your windows 10 jump list. First go to the start menu and type in “regedit”, then click the “regedit” icon and give it permission to make changes to your computer. Locate the following key by navigating to it on the left side of the registry editor. Once you are there right-click the “Advanced” folder on the left and choose New > DWORD (32-bit) Value. Name it JumpListItems_Maximum and hit enter. 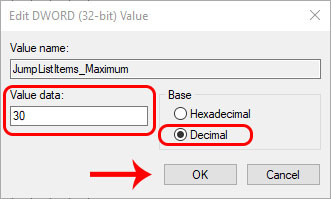 Then double click the newly created DWORD value and change it from Hexadecimal to Decimal. Finally, in the Value data box, type in the number of jump list items you want to see, click OK when you’re done. That’s it! 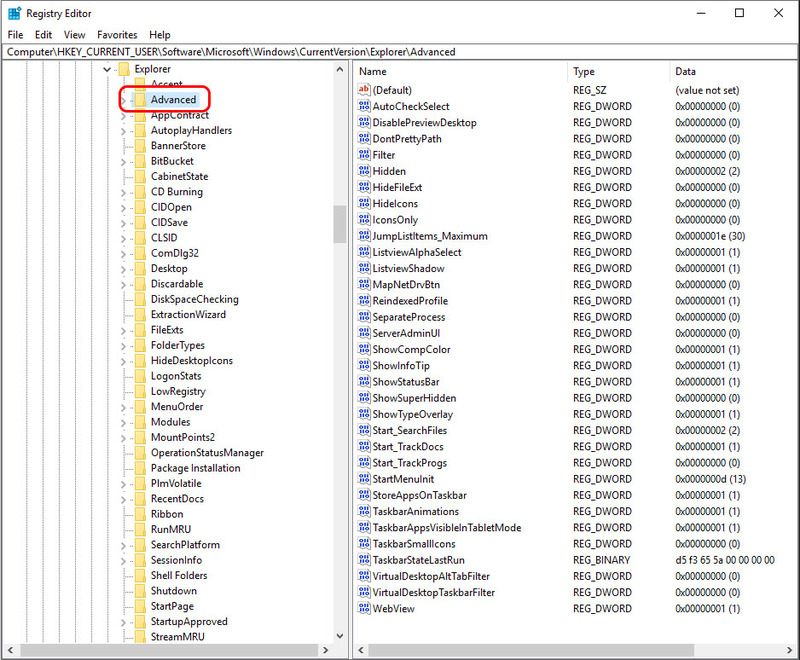 Now you’ve increased the amount of jump list items in Windows 10. 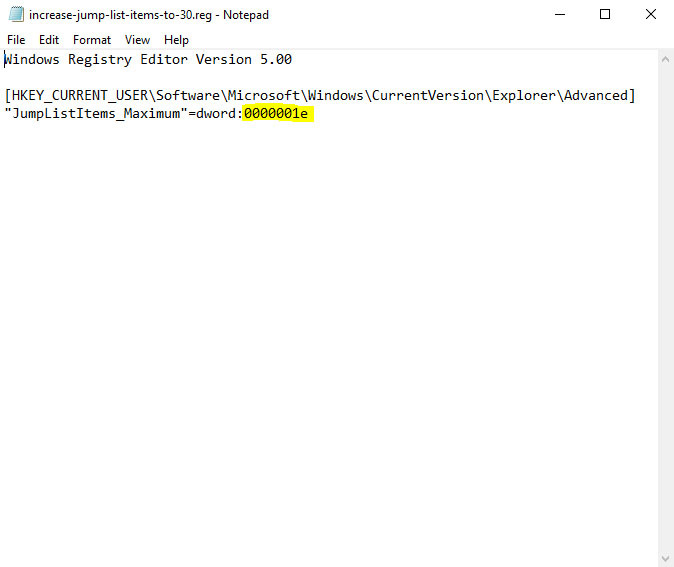 I’ve also created a registry entry file which when run will automatically increase your jump list to 30 items. If you want to edit my file to change the number from 30, simply right-click the file and choose Edit. It will open in Notepad. The value must start with 000000, you can change the digits after the six zeros to increase or decrease the amount of jump list items.